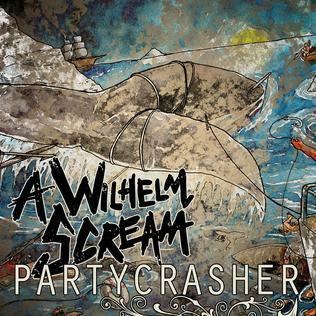 Finally after several long years, A Wilhelm Scream (AWS) have released a new album. Titled “Partycrasher”, AWS is sticking to their fast in-your-face east coast punk rock roots. This band has always done a great job of mixing together complex guitar riffs and vocal harmonies while moving at breakneck speeds. Thankfully, Partycrasher is no different. Released November 5, 2013, Partycrasher will bring joy to any AWS fan. The fast tempos, complex arrangements, and insane harmonies between instruments and vocals are all present on this album. The gravelly voice of the lead singer and melodic backup vocals work great like always. AWS does not take the easy way out with anything they do. You can tell that during these past several years AWS have done nothing but perfect their sound. Highly recommended for any AWS or punk rock fan in general. Check out one of their new songs below and let me know what you guys think.